We offer the evaluation of all components of fitness including body composition, aerobic fitness, muscular strength and endurance, and flexibility. Appraisals are tailored to the individual, whether a beginner, elite athlete or anywhere in between. In our private and relaxed setting, we offer advanced equipment and measurement techniques. Our certified staff have flexible appointment hours to meet your needs. This fitness appraisal package includes a cardiovascular test (predictive/functional test based on heart rate response with blood pressure monitoring), body composition (girths and skinfold measurements with calipers), flexibility, muscular endurance and strength assessment. Time: two hours (one hour and 45 minutes for appraisal, 15 minute follow up appointment to review results). Assessments include a hard copy package explaining results. 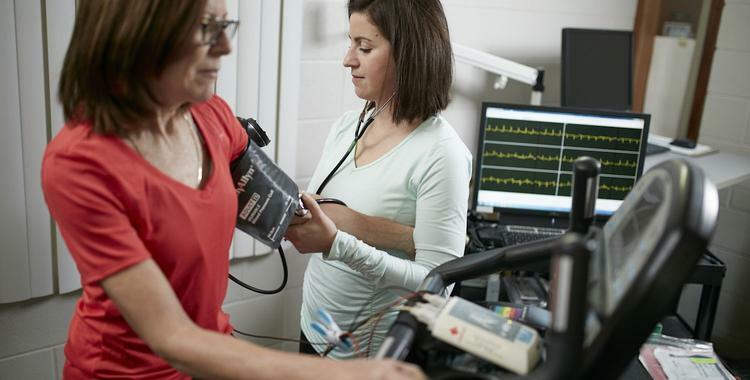 This fitness appraisal package includes a cardiovascular test (progressive test to maximal exertion involving direct measurement of oxygen uptake), body composition (girths and skinfold measurements with calipers), flexibility, muscular endurance and strength assessment. This package can be tailored to an athlete's specific needs. If additional tests are requested, price may vary. Time: two hours (one hour 45 minutes for appraisal, 15 minute follow up appointment to review results). This package includes a half hour consultation with a certified exercise physiologist, an above fitness appraisal package, customized exercise program and one hour personal training session in our facility. Note: Discounts may apply for group/team fitness testing. 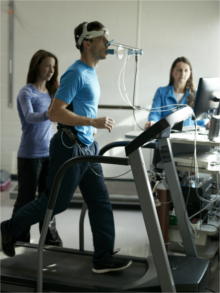 If you are interested in signing up for a fitness appraisal, complete the Client information for UW Fitness form. Once we receive this form, we will contact you to schedule an appointment.